Choosing the right horse for you is a process, but you shouldn’t make yourself feel pressured or hurried. Is Your Horse’s Head In The Game? What's Up With Cowboy Dressage? Colt Starting – Getting It Right! If I pick up on the bridle reins, I expect something to happen. My horse needs to yield, give and or slow down. Colt Starting Part 1. What Can You Expect in Sixty Days? Our definition: Getting your horse in a position and in a frame of mind to accept a request, whatever that may be. 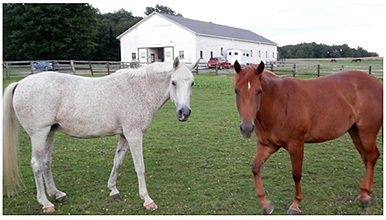 Be Aware that your Foal Behavior Could Become Your Adult Horse Behavior! Horse Show Stall Decorations should be made of fire retardant fabrics and/or coatings as one of the best ways to prevent a catastrophe! Adapt the training for each new circumstance encountered. Catch Me If You Can!! 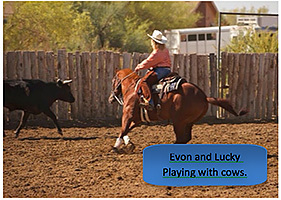 by Steve Werklund Not knowing what to do keeps many a horse locked up in a small stall or paddock, or wearing the halter all the time. 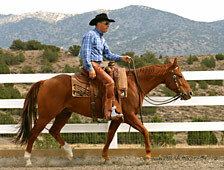 Looking for a Horse Trainer? 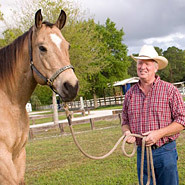 Many horse owners at some time or another seek out a trainer to work with their horse. With today’s sources, magazines to Internet, finding a trainer may be quite easy. Knowing what to look for in a trainer may be a different matter. I would like to give you a few suggestions to consider as you search. Be sure your horse is mentally or physically ready to go to work. Fear ends where knowledge begins. I was watching a lady being led by her horse today;) The horse had a halter with the big fuzzy noseband so it wouldn't be uncomfortable... and it wasn't at all because he was walking all over the place with the Owner hanging onto the lead rope near the tail. The horse is simply doing something he has been allowed to do. Allow it or ignored it, if you live with it then you have taught it. 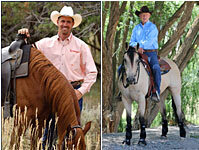 Great articles here to help us improve our horsemanship!